Air Peace announces plans to commence flight services from Lagos and Abuja to Roberts International Airport, Monrovia and from Abuja to Kotoka International Airport, Accra effective August 6, 2018. The development is coming days after the airline secured the renewal of its International Air Transport Association Operation Safety Audit (IOSA) certificate. A statement issued by the airline’s Corporate Communications Manager, Mr. Chris Iwarah said the new routes were part of the third phase of the carrier’s network expansion project on the West Coast of Africa. Air Peace launched its first regional flight out of Lagos to Accra on February 16, 2017. About a year later on February 19, 2018, the airline added Freetown (Sierra Leone), Banjul (The Gambia) and Dakar (Senegal) to its route map. 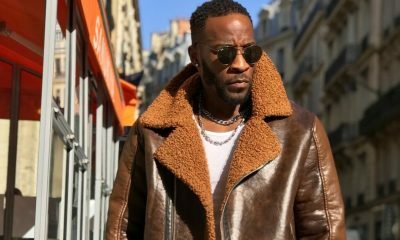 The new routes, Iwarah confirmed, would also connect Accra and Monrovia. The carrier added that many domestic routes, including Makurdi, Warri, Port Harcourt NAF Base and Kaduna, would soon join its network under its no-city-left-behind project. 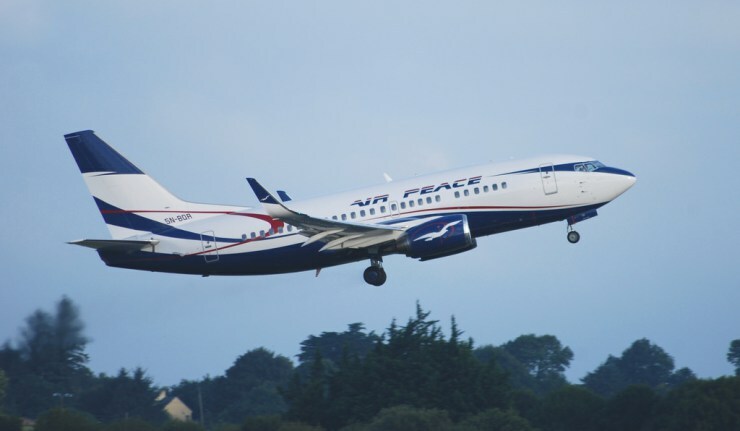 Air Peace also confirmed that it would shortly reopen its Asaba and Sokoto operations. Iwarah said : “We are pleased to announce that Monrovia, Liberia and Abuja-Accra will be joining our route network on Monday, August 6, 2018. “We will also be inaugurating our Abuja-Accra service, besides connecting Accra and Monrovia on the same date. This is our way of expressing our sincere gratitude to members of the flying public who have continued to support and endorse the Air Peace brand. “The launch of the new services will afford air travellers on the Lagos-Monrovia, Abuja-Monrovia, Accra-Monrovia and Abuja-Accra routes the option of a truly efficient, customer-centric and exceptional alternative. “Since the launch of the first and second phases of our regional flight operations to Accra (Ghana), Freetown (Sierra Leone), Banjul (The Gambia) as well as Dakar (Senegal) on February 16, 2017 and February 19, 2018 respectively, we have received pieces of positive feedback confirming how our operations have transformed air travel and eliminated the challenges of connectivity on the West Coast of Africa. “We are determined to offer our valued guests an even greater experience in safe, on-time and efficient flight services. “The inauguration of our Monrovia routes would bring our regional network to five important destinations. Lome, Abidjan, Niamey, Douala, among other cities, will also come on board soon. “On the domestic side of our operations, unserved and underserved destinations, including Makurdi, Warri, Kaduna, Port Harcourt NAF Base and Bauchi are in line to experience our spectacular flight services. “We are also going to restart our flight operations to Asaba and Sokoto. Preparations for our long-haul flights to London, Houston, Dubai, Sharjah, Mumbai, Guangzhou and Johannesburg are nearing completion and we will be announcing launch dates soon. “We are not just progressively expanding our route network to deliver on our goal of seamless air connectivity, we are also crystallsing our ultimate vision of bringing the world to Africa and Nigeria through the expansion of our capacity in terms of human resources and equipment. We have recruited a lot of personnel to deepen our service efficiency. “We have also increased our fleet of Embraer 145, Boeing 747 and Boeing 777 to a size of 24 aircraft. We solicit the continued support and partnership of the flying public in our determination to give the best in air travel,” Air Peace said.